The Straub Metal Grip coupling series provides ultimate pull out resistance for use in all metal pipes, and meets the highest standards in both design and construction, as well as safety. These couplings are used around the world in piping systems transferring a range of media, including water, wastewater, gas, oil, fuel, chemicals and solid materials. The range also includes the FF (Fire Fence) range of couplings for use wherever fire protection is required by your application. Use Straub couplings to join almost any tubing or pipe, including steel and stainless steel, ductile iron, FRP, PVC, CPVC, C900, concrete pipe, copper and CuNi piping. 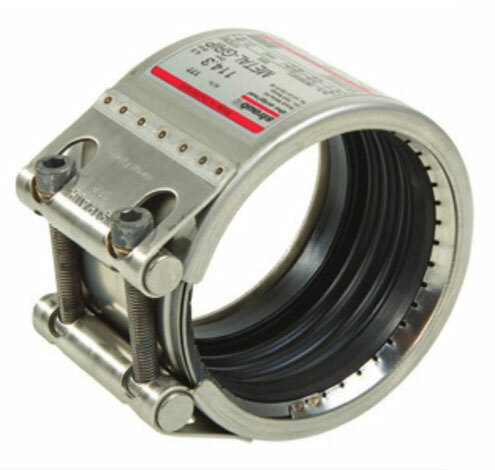 Speak to our couplings specialists today about your requirements!